This post is dedicated to my nephew Glen because, like me, he was born in the wrong era. 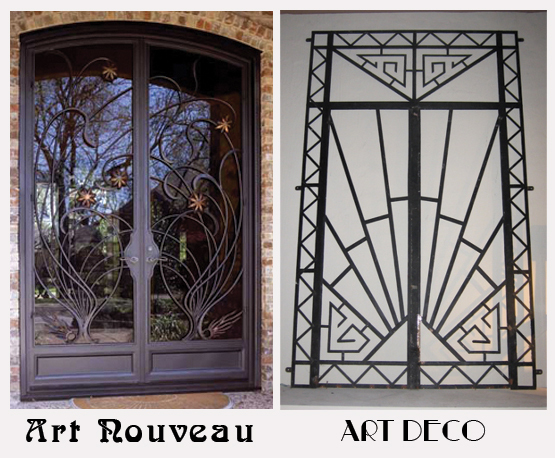 We should have been born in the art nouveau or art deco period because we both appreciate the styles and often communicate about the aspects of those eras. Having some time to fill in before going camping to southern France at the end of July we decided to go to the Czech Republic and then on to Poland, two countries we have never visited. It is going to be a case of ‘we don’t know where we are going exactly but we will end up where we were meant to be’. 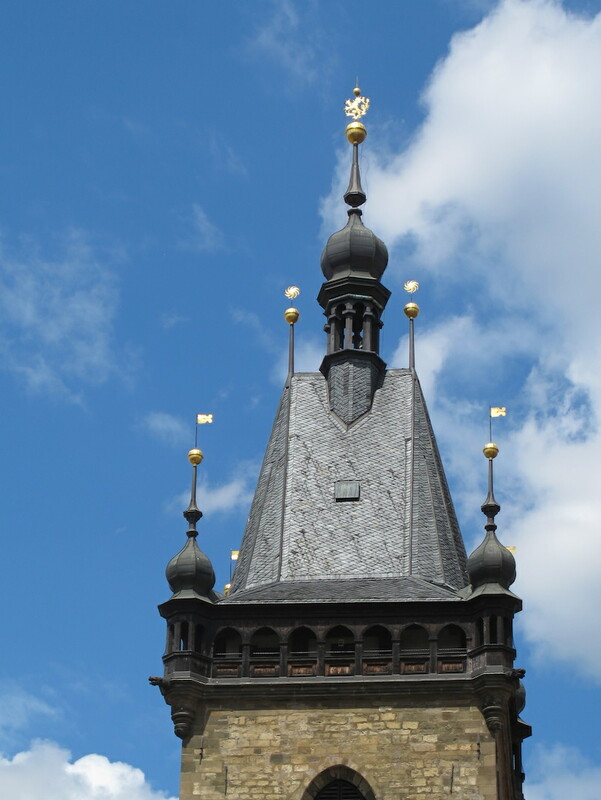 We decided to make Prague, the capital of the Czech Republic, our first port of call and the easiest way to get there was to catch the overnight train from Zurich. From Prague we intended to cycle along the River Elbe to Dresden in Germany then visit a German friend just to the south of Berlin. 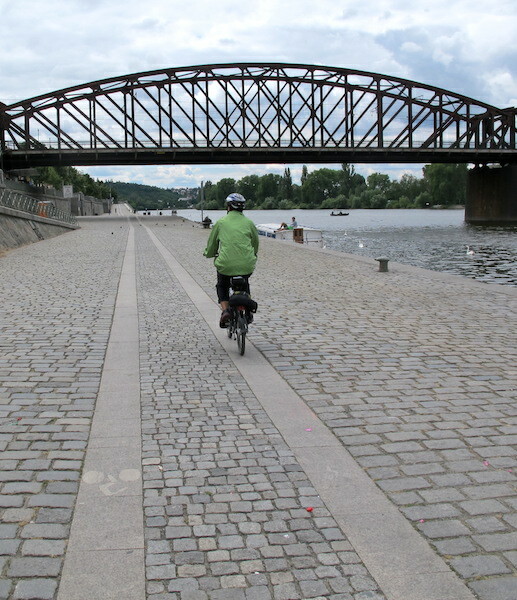 From all reports riding along the Elbe was going to be picturesque and relatively easy. 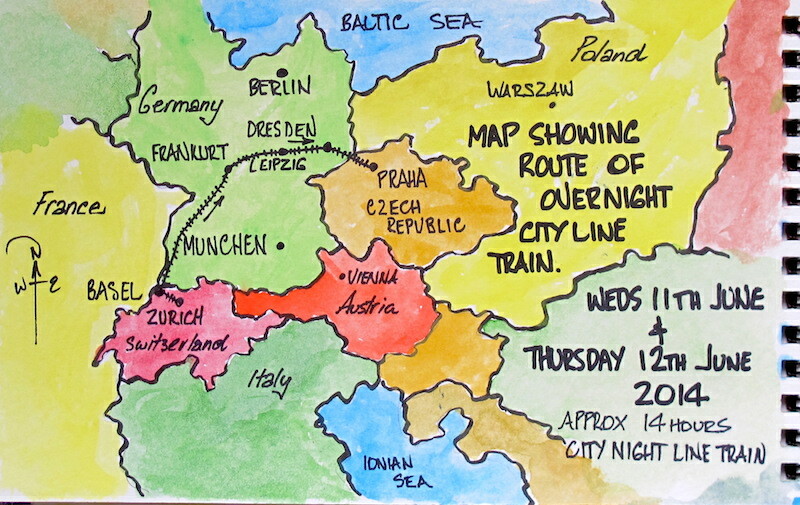 Map showing the route of the Zurich to Prague City Line train. Fourteen hours on a train might seem a long time but we were asleep for most of the time so it didn’t bother us at all. As we slid through the darkness I dreamt of more romantic train journeys like that of the Orient Express back in the days of Agatha Christies’s Belgian detective, Hercule Poirot. There were no hassles with our bikes on the train. We folded them but, in reality, we didn’t have to as there were 58 bike racks in the carriage adjacent to ours and a similar number in another carriage at the other end of the train. The advantage of folding them meant they went for free. Zurich station. 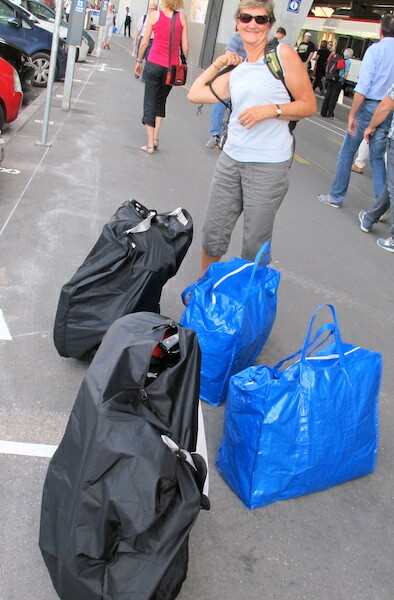 Folded bikes in black bags and our gear, including panniers, in the blue bags. We are now travelling a lot lighter, mainly because the cost of accommodation in the Czech Republic and Poland is not all that expensive so our tent will not be necessary. We are however carrying one self-inflating mattress and two sleeping bags just in case we get caught out. In addition to the sleeping gear we have our pots, gas stove and two mugs and clothing. I lost half my underwear somewhere so that reduced some of my load a bit. 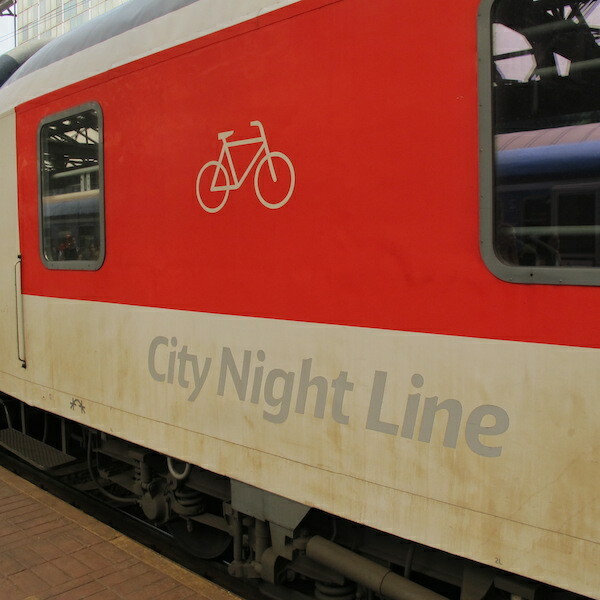 City Night Line cycle carriage. The outside of some German trains look a bit grubby but the inside was clean and comfortable. Because we did a late booking we could only get afour-berth couchette, which can be a bother as you don’t know who you might be sharing with. Our companions turned out to be a young South Korean couple who were polite and accommodating. 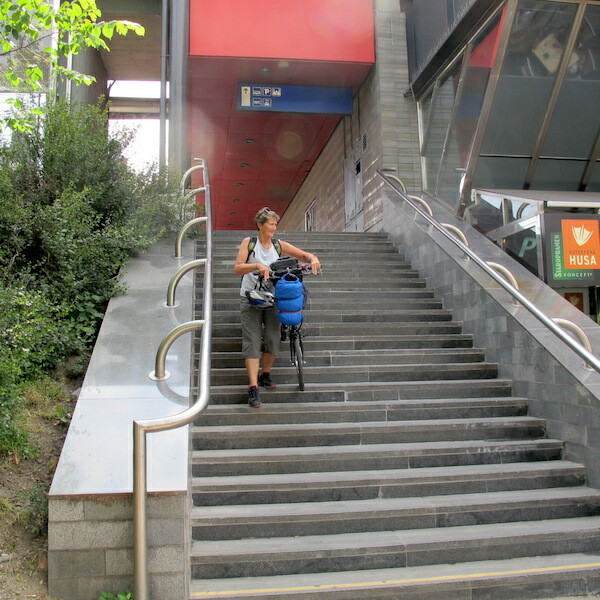 Bev coming down off the Prague railway station. We found out a few days later there was a lift and at main entrance! Negotiating the potholes on the way to our guesthouse. 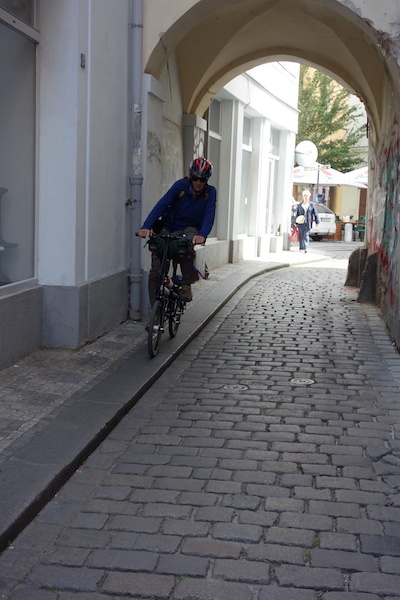 During our time in Prague we found a few other cyclist hazards. 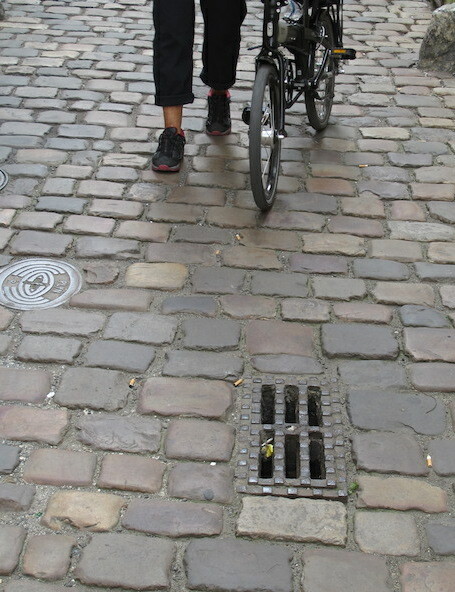 Cobblestones and a nasty grate, not designed for cyclists. In bike-friendly countries the slots are ‘S’ shaped. Local authorities efforts to provide a bump free bike path. Granite slabs are a smoother ride than cobblestones. The Vltava (Moldau) riverside path. Riding the curb was smoother than the cobblestones, it took some balancing though. 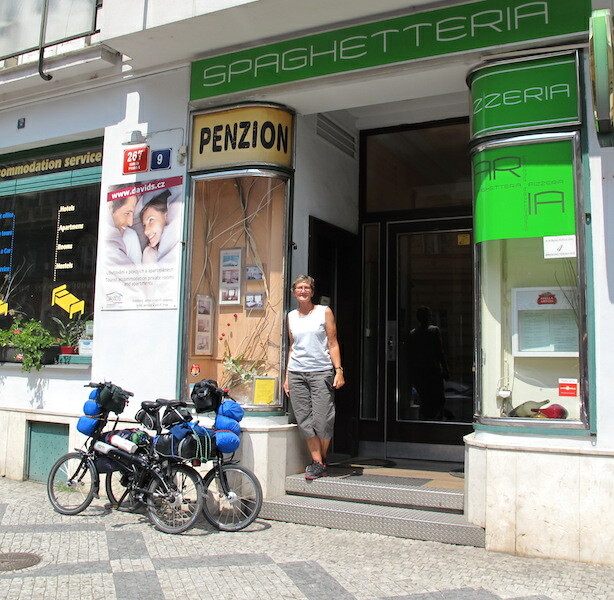 At the front of David’s Guesthouse and the Spaghetteria on Krizikova Street. The guesthouse turned out to be perfect for our needs with private facilities, a kitchen with an electric induction hot plate that boiled water in 70 seconds, a toaster and an electric jug. Toasters and electric jugs are not common kitchen utensils in self-catering apartments in Europe. 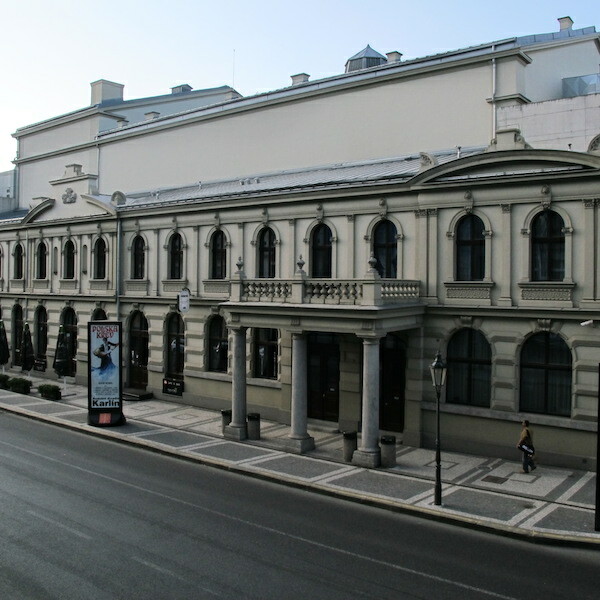 The view from our first floor window was first class too, a neo classical building that housed a theatre for music. 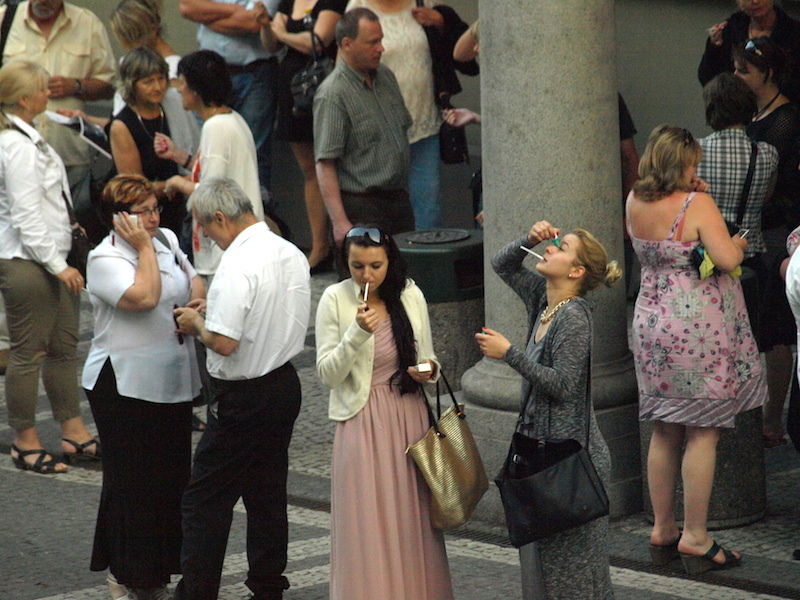 Theatre patrons came out at interval for a cigarette and a hay-fever eye drop treatment. The hayfever culprit was barley grass, a very common irritant. It was growing in park gardens and on vacant blocks. Barley grass is considered a troublesome weed in Australia. 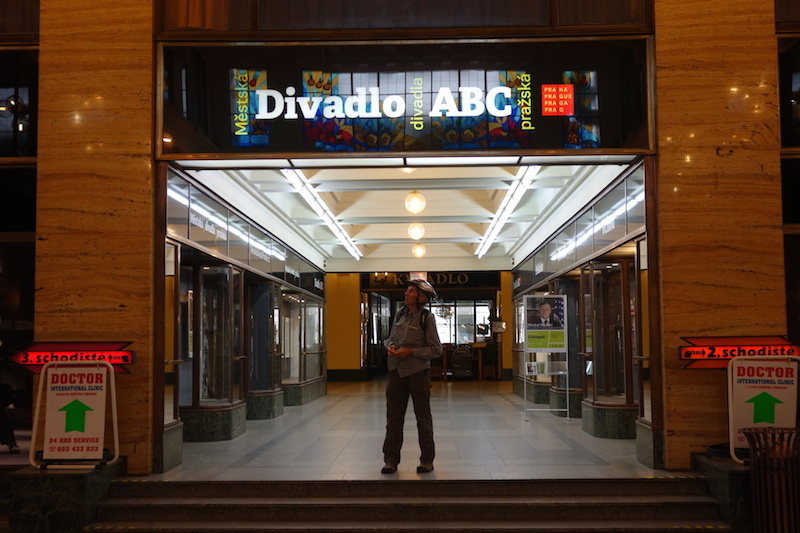 We intended to stay in Prague for six days but extended our stay to eight days so we could see all there was on offer. The architecture, particularly the art nouveau and art deco features, were absolutely stunning. Prague is colour, art, design, bridges, music and a place for lovers. It is like an adult Disneyland. I photographed the above print in a back street in Prague and unfortunately I couldn’t decipher the artist’s name. It was unceremoniously displayed but to me this is what Prague is. If the artist spots this image, please contact me via the comments box so I can give you a credit. The art nouveau and the art deco eras have always interested me and the interest goes back to when growing up in Sydney in 1940/50s. My parents didn’t own an art nouveau or art deco house but some of our relatives in the eastern suburbs of Sydney did and we visited them I was aware the relatives houses were different to the between the wars house I lived in. In our house there was furniture and household utensils from both eras. My mother had various art deco style kitchen utensils including a set of green compression moulded bakelite food canisters, numerous glass tableware items such as salt and pepper shakers and a butter dish. 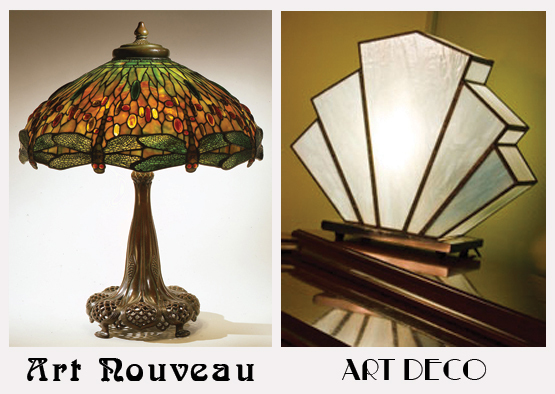 The art nouveau and art deco eras have distinctive styles. Architecture, furniture, wall art and even printing fonts did not escape their influences. 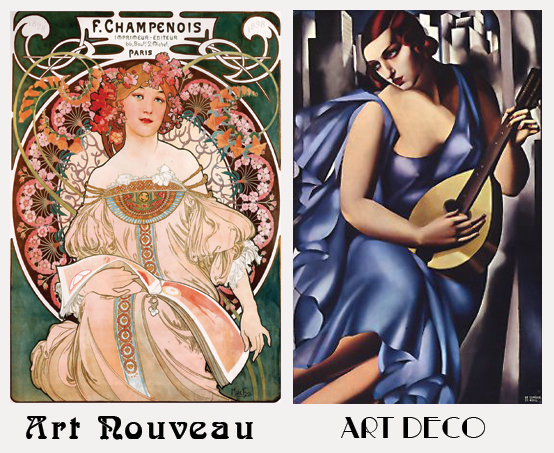 Art nouveau is a French term meaning ‘new art’ and it began appearing in the early 1880s and lasted until about the beginning of World War 1. Czech artist Alphonse Mucha (1860-1939) was instrumental in developing the art nouveau style. 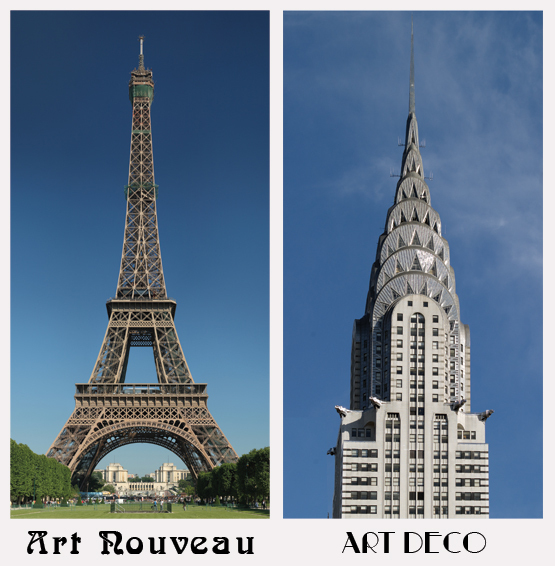 Art deco emerged after World War 1, a time when the world was ready for luxury and extravagance. It was prevalent during the 1920s and 1930s and lasted up until the beginning of World War 2. In an attempt to expand my knowledge relating to these eras I searched the web and found a wonderful web page by Peggy of Fauxology. She has posted some beaut images showing the differences between the styles and if you are like me and are not sure of the exact differences you might find the following images interesting. 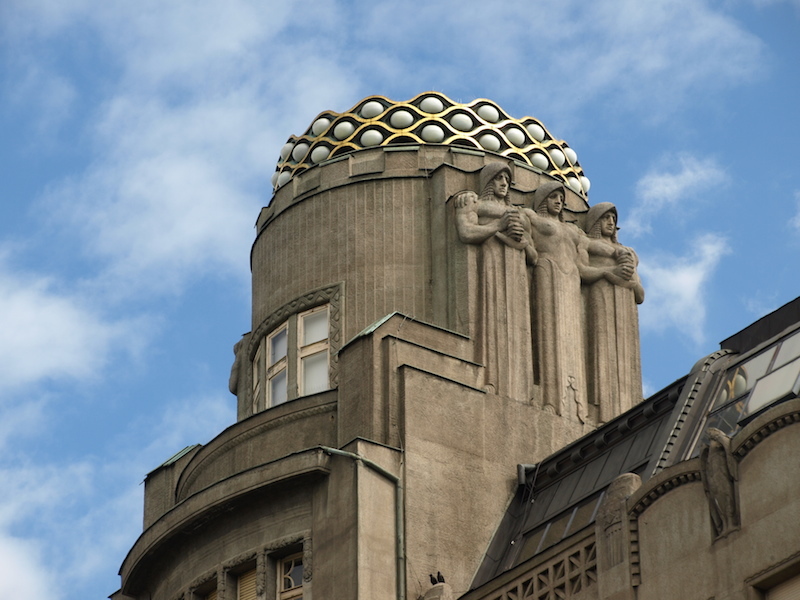 Following are a few examples of art nouveau and art deco eras we have found in Prague. If there are any misidentifications I’m hoping Peggy will set me straight via the comments box of this blog. Entrance to the Hotel Paris. The Hotel Paris was said to be a pompous neo-Gothic building with bold elements of art nouveau. It was built in 1904 and up until the 1950s to stay there it was considered a symbol of success and wealth. It probably is still today. 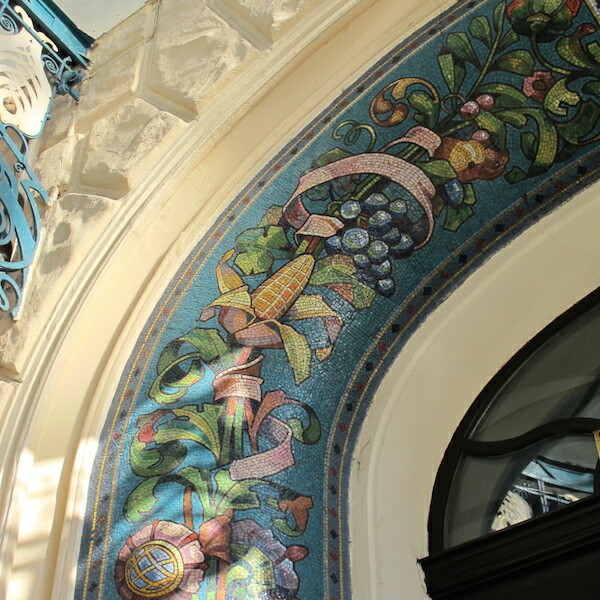 Mosaic detail in the arch over the vestibule of the Paris Hotel. 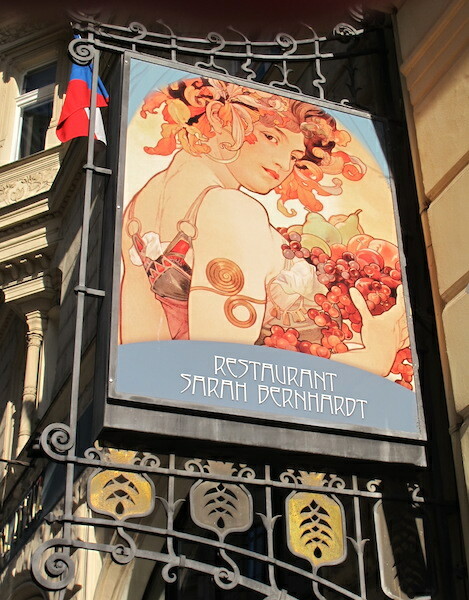 Reproduction of Alphonse Mucha’s painting of French actress Sarah Bernhardt outside the Paris Hotel. 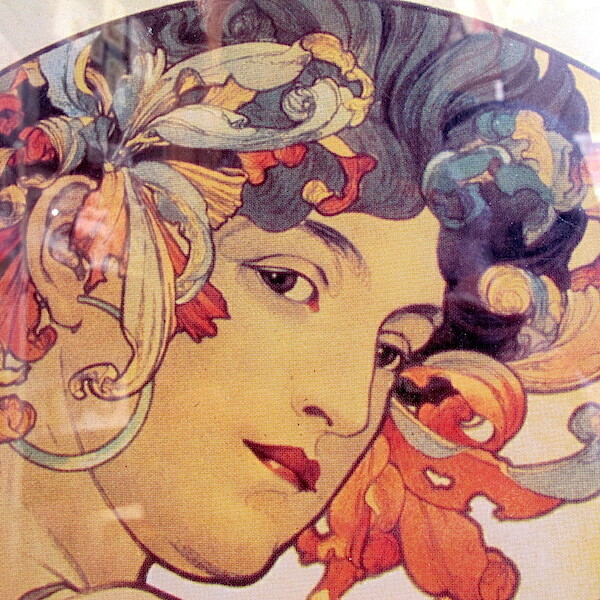 Art nouveau style art close up. 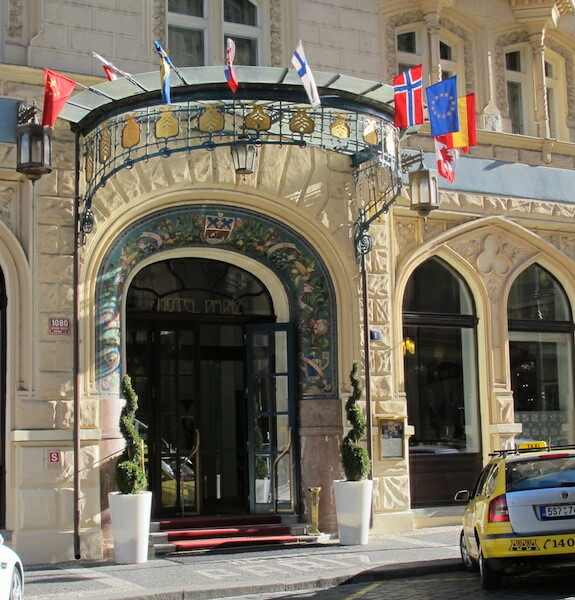 Another well-known hotel in Prague is the Grand Hotel Europa which is famous because its unique interior has appeared in many film productions, including Mission Impossible. It was built in1889 and in 1903-05 had a rebuild into art nouveau style. 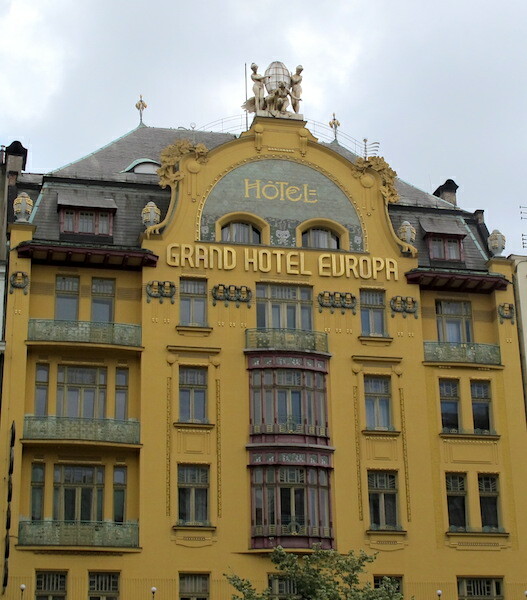 The Grand Hotel Europa, a classic piece of art nouveau architecture. A beautiful piece of art deco sculpture. These fine chaps were about 25 metres up on a building parapet. 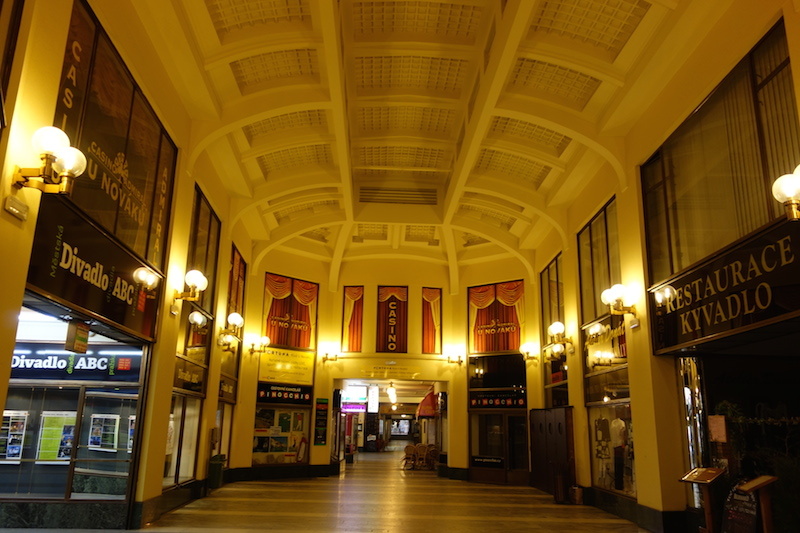 Stunning art nouveau shopping centre off Wenceslas Square in the centre of Prague. Another section of the shopping complex. Trying to comprehend it all. Some of my friends find it difficult to understand why every now and then we have to visit Europe. 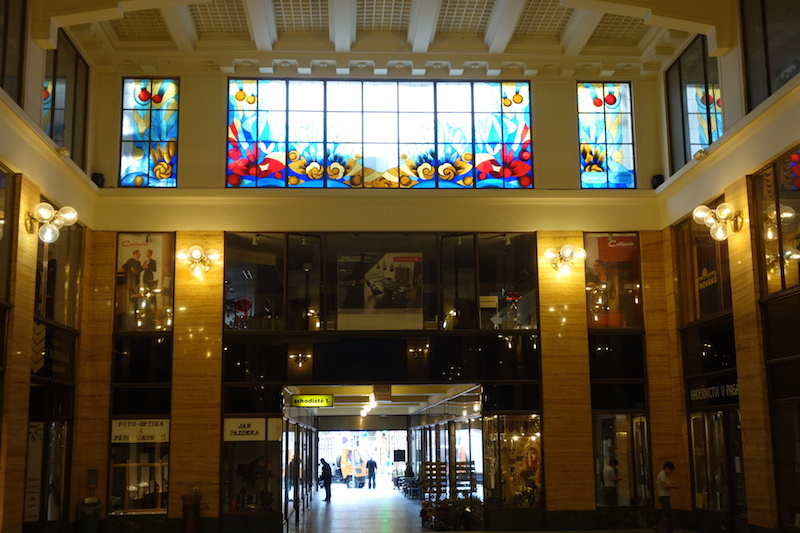 I need to experience places such as this art nouveau shopping complex. There is a movie theatre at one end of the shopping centre and hanging in the atrium near its entrance is an unusual sculpture. 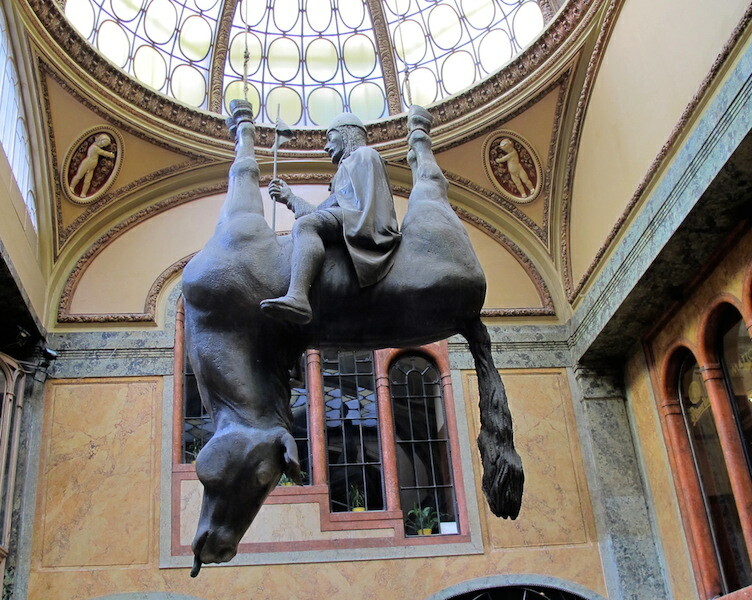 ‘Dead Horse’ by Czech sculptor David Cerny is a bastardised version of King Wenceslas (patron saint of the Czech state) astride his upside down horse. Sculptor Cerny was born in Prague and gained notoriety in 1991 by painting a Soviet tank pink, to serve as a war memorial in Central Prague. 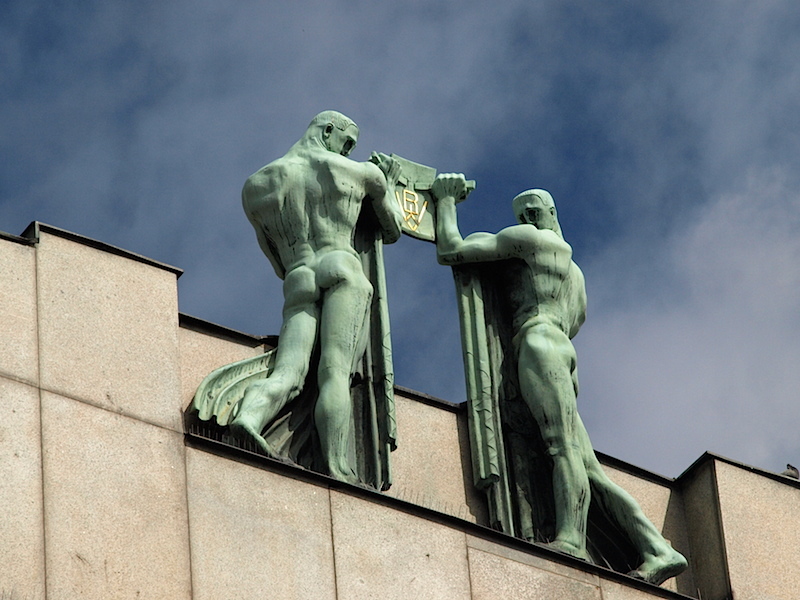 There are a number of his sculptures around Prague, some are considered repulsive and others, works of art. 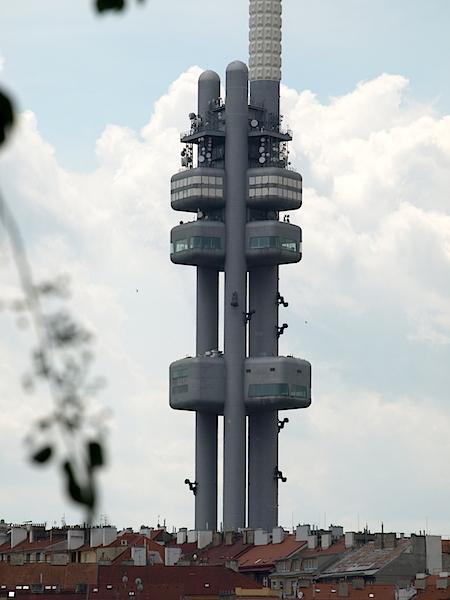 One conspicuous one, ‘Tower Babies’, shows a series of cast infants crawling up the Zizkov television tower. During one of our rides around Prague we spotted the tower from a distance. Babies crawling up the TV tower. 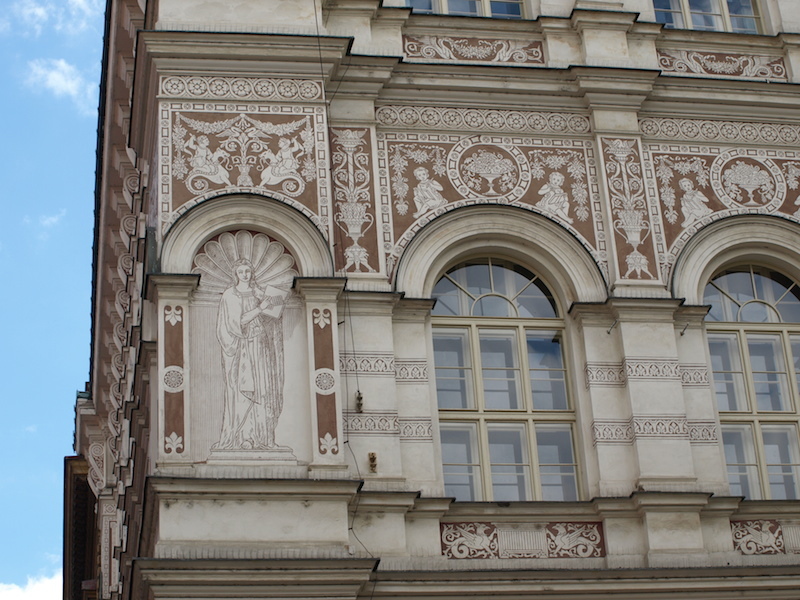 Not all buildings in Prague are of the art nouveau and art deco eras, there are many classical buildings as well. 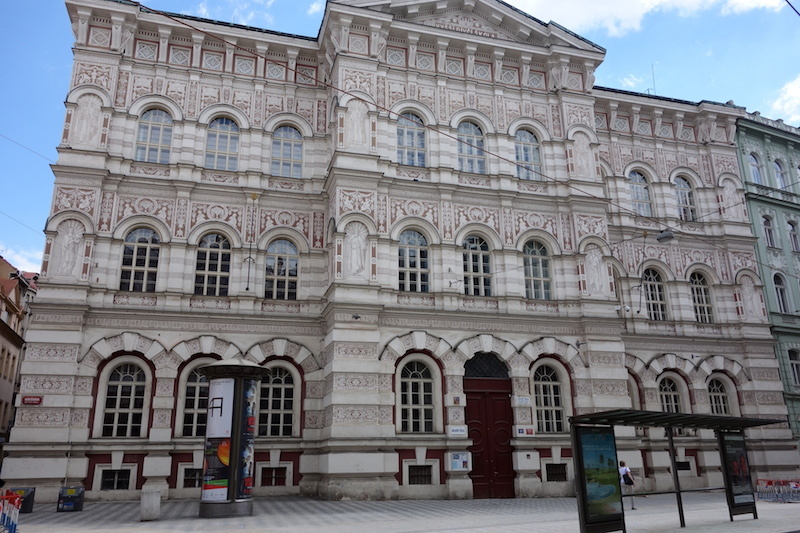 The above building had two layers of stucco about 5mm thick each applied over the whole exterior. The first layer was brown in colour and the second (outer layer), white. To get the contrasting colours the outer layer was chiselled away to reveal the brown layer underneath. Not only was the front of the building decorated but the sides as well. Think about its construction. What a monumental task it was to produce the desired effect! 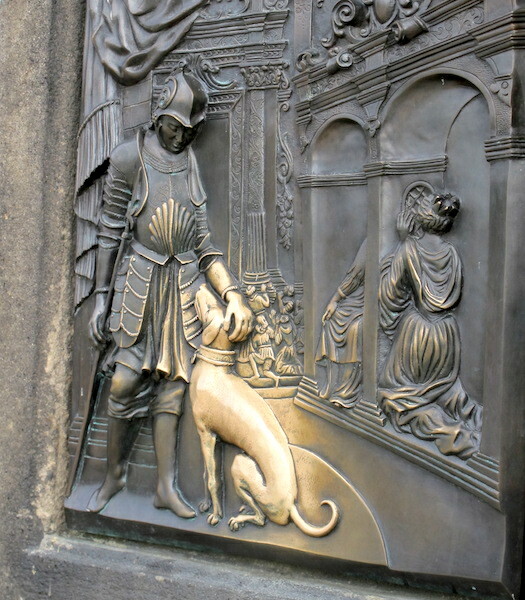 The following photograph shows the detail. Is there a special name for this technique? It is impossible to estimate how long the process would take. I thought of this as a Tolkien tower. For some mysterious reason when I looked at this tower I thought of Tolkien, I imagined that if there were towers in the Middle Earth they would look like this one. Researching the web in an attempt to find out why I thought Tolkien and Prague I discovered there is a very active Tolkien association in the Czech Republic and it may have something to do with the fact that a Golem once lived there. The most famous Golem narrative involves Judah Loew Bazale, a late 16th century rabbi of Prague who created a Golem to protect the Jewish community. The Golem was kept in the roof of a synagogue in the Jewish quarter. 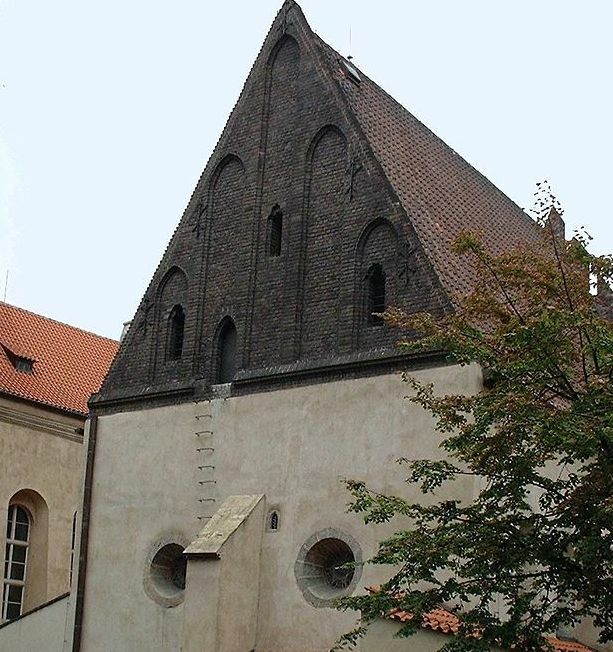 Golem’s body is said to be lying in the attic of this synagogue in Prague. According to folklore the Gestapo during WW2 did not enter the attic and surprisingly the building was spared even though other synagogues were destroyed. If the tale is true maybe the Gestapo officers were scared of the Golem. Golems are anthropomorphic which are forms described or thought of as having a human form created from innate matter and brought to life when the needs be. It should be noted that there is no evidence that the architecture or the fact a Golem once lived in Prague had any influence on Tolkien’s writings. A difficult one to describe with such a mixture of architectural styles and colours. The most prominent thing I see is the mobile phone aerials. I think we could say it is an anachronism. 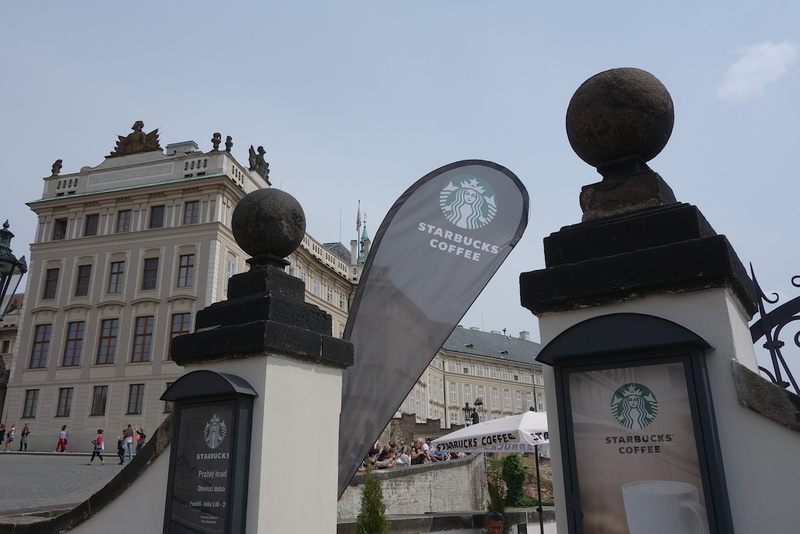 Starbucks and the Prague Palace co-operating nicely. Another anachronism! The building in the above photograph is not made from stone blocks, it’s made from bricks stuccoed over. 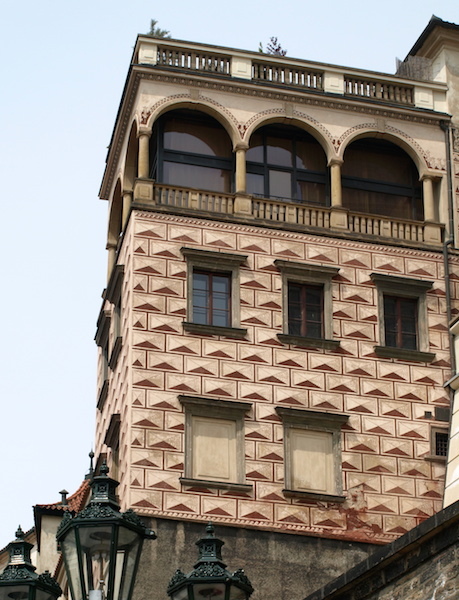 The triangular sections are painted onto the stucco giving the impression that the building is made from hewn blocks. 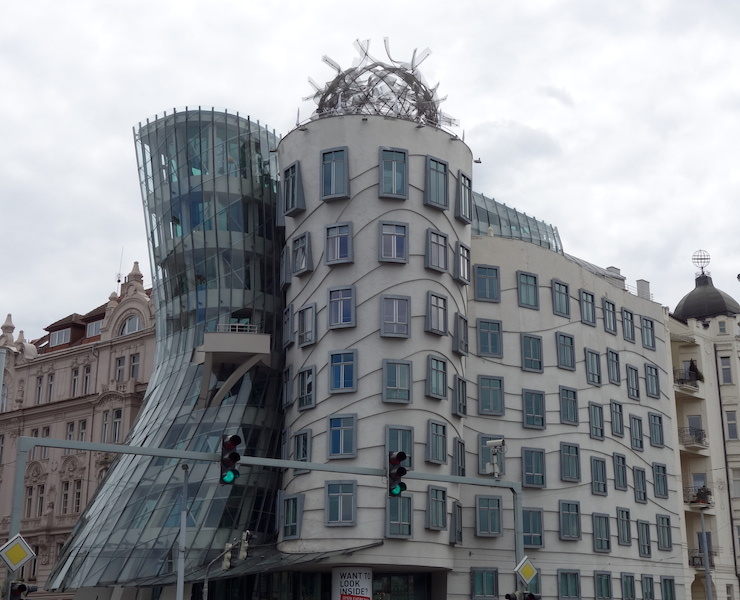 The Dancing House, Bev’s favourite building. 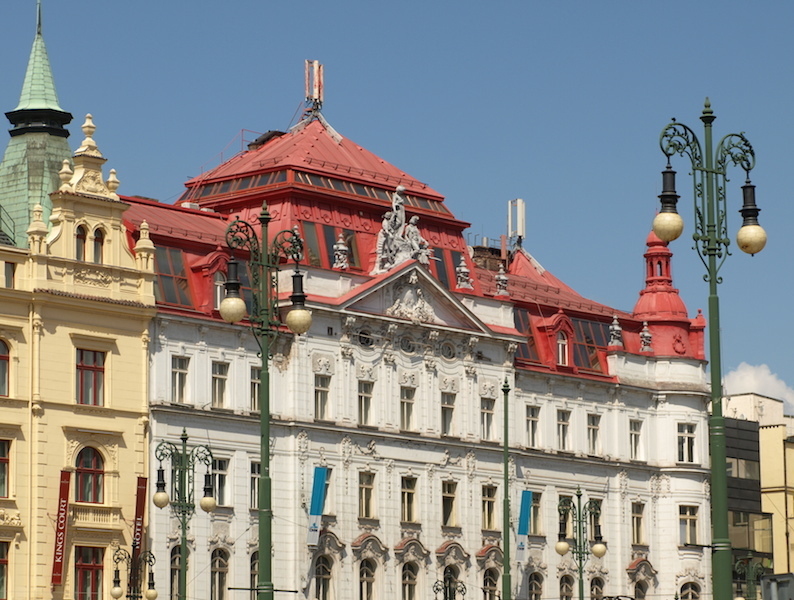 There are hundreds of buildings in Prague that the lover of architecture can wallow in, but it’s time to move on and have a look at other classical structures. 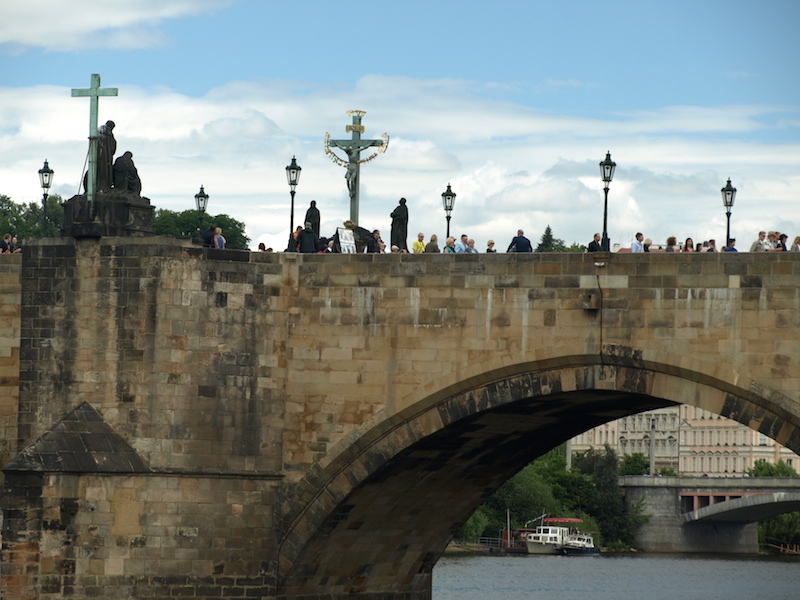 Often, intending visitors to Prague will seek advice on the web as to what to look at in Prague and the advice given always includes the Charles Bridge. The Charles Bridge really is impressive and tourists flock to it to be able to say ‘been there done that’. Bev doing it (crossing the Charles Bridge) so she can say she’s done it. There are religious statues on both sides of the bridge. Many of the tourists rub them as they pass and the faithful actually kiss the iconic statues. One of the religious icons on the bridge that gets plenty of pats and kisses. At the beginning of this posting I mentioned music and love and there is a lot of it in the air around Prague. And the music and the love goes on. 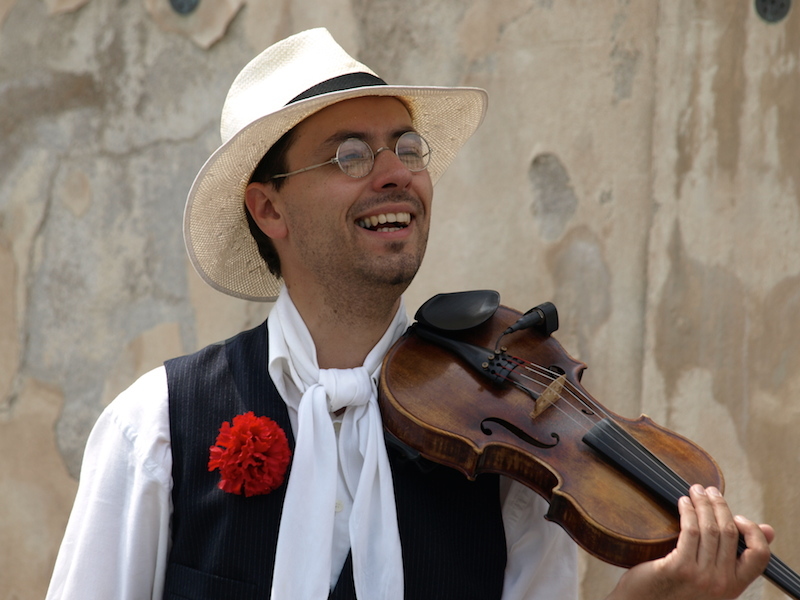 Bev and I had a chat with this lovely man who was part of an orchestra playing traditional Czech music. 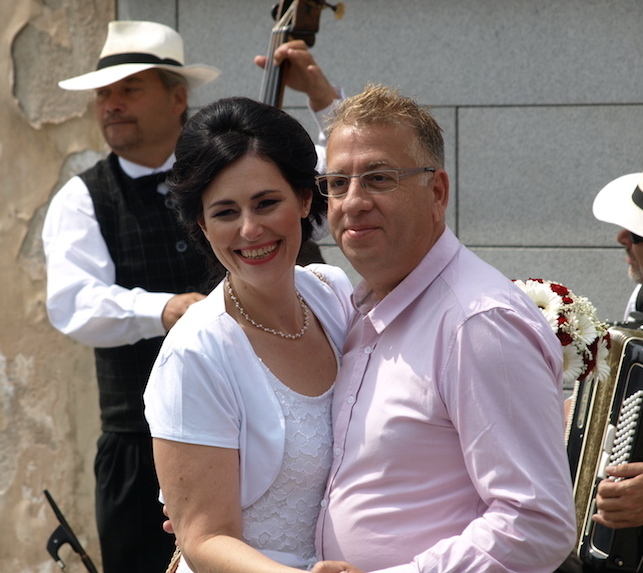 In the short time we were at Prague Castle there were at least four weddings under way. It seems Prague Castle is a trendy place to get married. 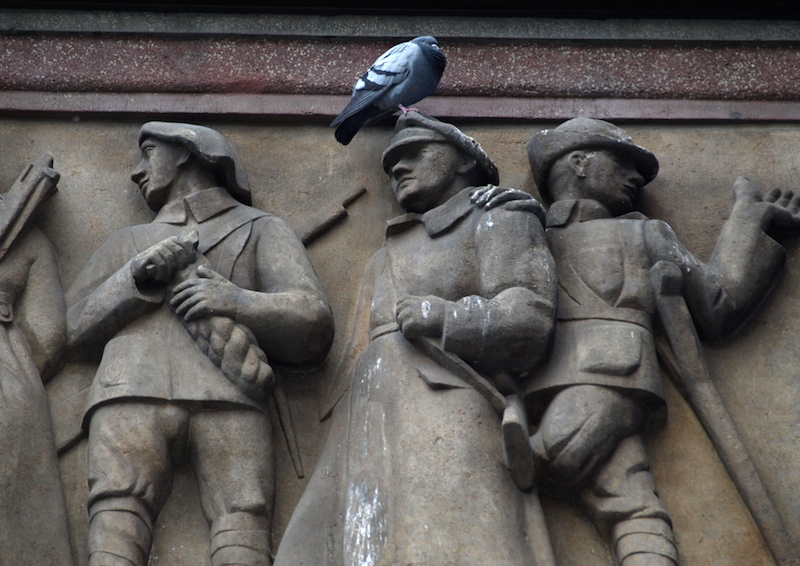 Not all days in Prague have been happy ones and sculptures like the one above are a stark reminder of the trials and tribulations the Czech people have had to contend with. That’s the end of Prague Part 1 but before I go I would like to share with you a story by my nephew telling of his time when working on the Orient Express in the ‘90s. 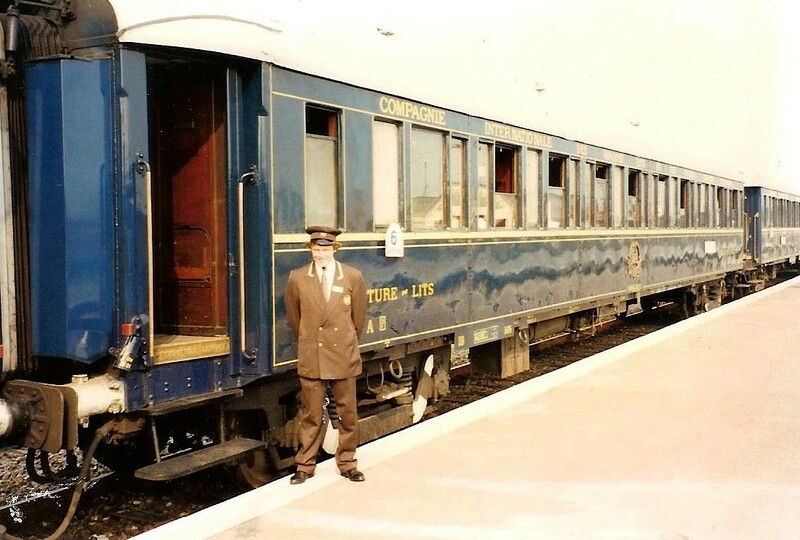 I mentioned whilst on the overnight train from Zurich to Prague I dreamt of the Orient Express and those dreams prompted me to include his story. In the early 1990s I was given the opportunity to work on the Orient Express train, based out of Zürich. This was a cruising train that travelled to various European cities. The train would travel thoughout the night and early morning, sometimes stopping at a siding in the middle of nowhere so we would arrive in the city to be visited that day just after breakfast. We would get up at about 5.30 and light a fire in a stove much like a small chip heater, in the vestibule. It was fired by coal and would make the hot water for each sleeping compartment. We would have a wake call sheet for any early risers and if requested we would bring them a tea or coffee. We would then dress in our formal uniforms including cap and go to our breakfast of freshly baked croissants, bread and rolls etc. After breakfast we would then change out of our dress uniforms and make the sleeping compartments from the night position into the day position. This would happen while passengers were having their breakfast. After the bunk conversion we would change back into our dress uniforms and sit in the hallway in a special conductor’s seat watching the scenery pass by or reading. I remember the colourful mustard fields of Dijon and many medieval castles flashing by. One of my duties was to help passengers off the train using a step stool. They would then go on an organized tour for the day. We would take the train from the central station back to the marshalling yards for the day and once it was yarded the conductors would hitch a ride back to the station with an inbound train and then spend the day wandering around whatever city we happened to be in. On one such day we dropped the passengers off at Monte Carlo Grand Prix then took the train back to Cannes and spent the day on the beach. At 4pm the conductors returned to the train for a formal lunch including wine and silver service in the Presidential car, similar to the one in which the First World War armistice was signed. At 5pm the passengers would return to a formal welcome by all the train staff including the chefs. The train would then leave and the passengers would go to the bar car then on to dinner. While they were at dinner we would make the compartment into the night position Once we had the passengers settled the conductors would go to our own staff bar/dining car and party till quite late. We were not allowed to drink soft drinks in case they ran out but we had unlimited beer. The next day we would do it all again. Conductor Glen and the Orient Express. Thinking about Glen’s story makes me think how lucky he was to have had the opportunity to see Europe at someone else’s expense. The part in Glen’s story about the coal-fired stove amused me. Can you imagine coal-fired stoves in trains these days?! The next posting will be Part 2 Prague and it will relate to mostly things the average tourist passes over and the dark years of Prague’s history. 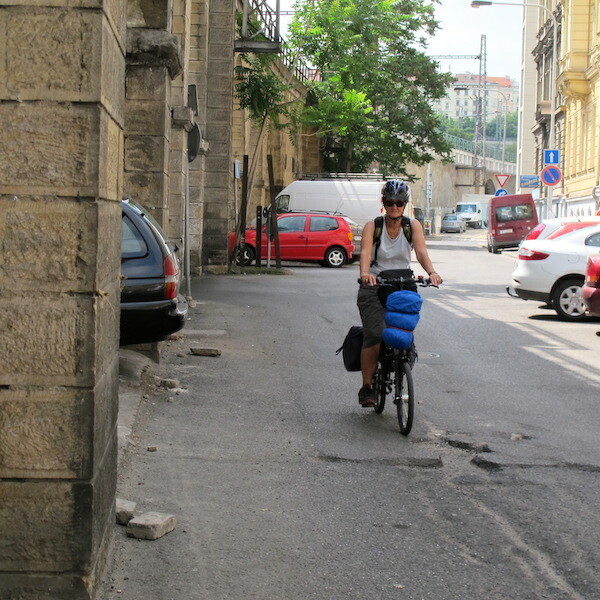 This entry was posted in Odyssey #2 2014: Cycling in Europe. Bookmark the permalink.